AEMET host the joint 29th ALADIN Wk & HIRLAM ASM 2019 in Madrid on 1-4 April 2019 and the HMG/CSSI meeting on 5 April 2019. The LTM meeting was organised as a side-meeting on Monday late afternoon. The agenda is on-line. The pdf of the presentations and posters will be added along the way on the Wk main page. The plenary sessions will be recorded and added later. A possibility for remote participation is offered via WebEx . Embark on a big Tour of ALADIN-HIRLAM ! Each team points some NWP highlights in their NMS in 2019. The Program Managers also give the last news on the convergence process between ALADIN and HIRLAM consortia. The ALADIN GA and the HIRLAM Council met in Zagreb (Croatia) on November 19-20, 2018 : the 23rd ALADIN GA, then the LACE Council and the HIRLAM Council in parallel, then the 4th joint ALADIN GA - HIRLAM C meeting. The 3 PMs (ALADIN, HIRLAM, LACE) reported on the realisation of the Rolling Work Plan 2018 and presented some highlights on the common and R&D activities. The assemblies congratulated the Members for the good realisation of the Rolling Work Plan 2018 and approved the Rolling Work Plan 2019 and the committed manpower. The assemblies approved the "scope document" they had tasked the WG (PMs, HAC/PAC chairs, MF PAC rep., CSSI chair) with: this document proposes a scope for the future single consortium. The assemblies gave the same WG guidelines to go further toward the single convergence and prepare a draft MoU, to be discussed at the next joint meeting of the ALADIN GA and HIRLAM C.
The "Tour d’ALADIN" was given by Piet : the slides are on-line : these 2018 highlights sent by the LTMs will be detailed in the ALADIN-HIRLAM Newsletter n°12, to be published end of January 2019. Piet reported on the 2018 common activities, DA coordinator, Code Architect and ACNA activities (a document has also been published), DA coordinator, Code Architect, ACNA, .. The ALADIN budget for 2019 was approved. A new matrix of the ALADIN consortium was approved after changes in some positions (the GA chairs and vice-chairs were re-elected for a two-year period). The minutes of the PAC and the HAC/PAC meeting have be approved by email and are on-line. The presentations and posters are on-line on the SRNWP website. An LTM meeting was held besides the EWGLAM/SRNWP and the minutes of this 25th LTM meeting have been published. The concept of the ALADIN project was proposed by Météo-France in 1990, with the aim of building a mutually beneficial collaboration with the National Meteorological Services of Central and Eastern Europe. This collaboration was to be in the field of Numerical Weather Prediction (NWP), which provides the basis for the forecasting tools of modern meteorology. The easy to translate acronym (Aire Limitée Adaptation dynamique Développement InterNational) clearly indicates the major axes of this project at its beginnings. The goal of the ALADIN Collaboration is to improve the value of the meteorological, hydrological and environmental warning and forecast services delivered by all Members to their users, through the operational implementation of a NWP system capable of resolving horizontal scales from the meso-beta to the meso-gamma scale and improving the prediction of severe weather phenomena such as heavy precipitation, intensive convection and strong winds. Sharing scientific results, numerical codes, operational environments, related expertise and know-how, as necessary for all ALADIN Consortium members to conduct operational and research activities with the same tools. About one hundred scientists, from sixteen countries, each with its own specificity in resources and knowledge base, are permanently contributing to the progress of ALADIN NWP system. 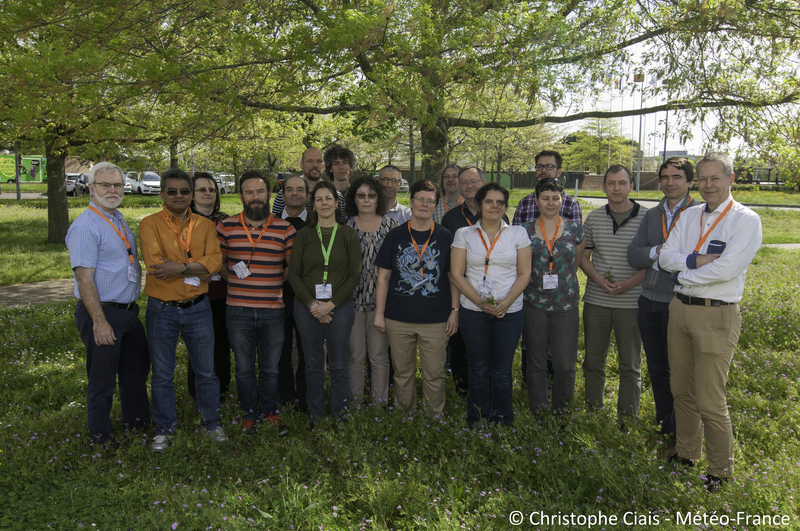 They are working together on a modern code of the atmosphere that definitely deserves its proper place between the European state-of-the-art NWP models: 80 Full-Time Equivalent persons in the last years of the project’s life. This code is now operated every day in fifteen Euro-Mediterranean countries, on a huge variety of computing platforms ranging from a PC Cluster under Linux to Vector Computers. ALADIN also allowed to build a high-level scientific team, distributed in sixteen countries that managed to reach the level of the best research centres, as witnessed by the PhD theses and publications in international journals. The General Assembly of Partners, the workshops, the meetings, the newsletters regularly offer opportunity of various exchanges within the ALADIN community. ALADIN is preparing for the serious evolutions expected within the NWP landscape in the coming five to ten years. There is the ever-lasting question where to draw the line between resolved vs. parameterized processes. There is the question of the efficiency and the scalability of ALADIN dynamical core. There are the external drivers, such as the demands of the end users, and the evolution of the high-performance computing machines. Additionally a serious reorganization of the code is now at hand, in particular within the OOPS project. 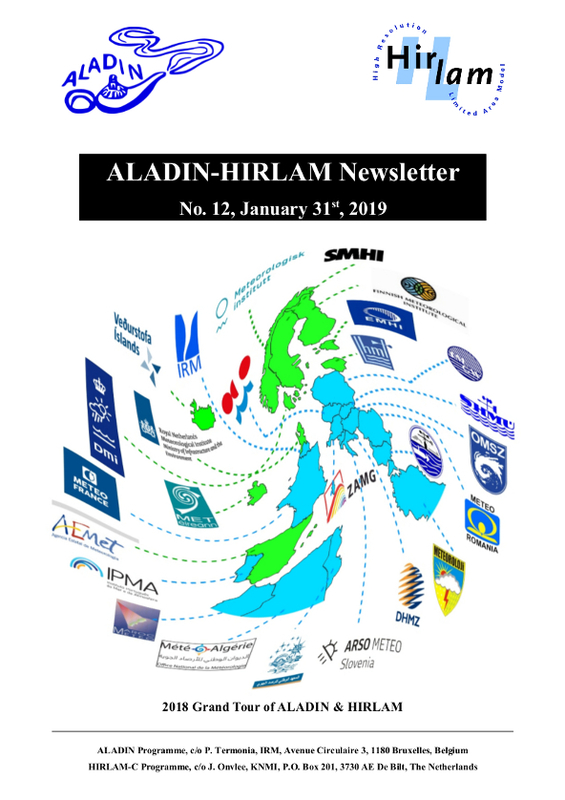 Besides that, the international meteorological context is steadily changing, specifically with the merger of the ALADIN and the HIRLAM consortia. 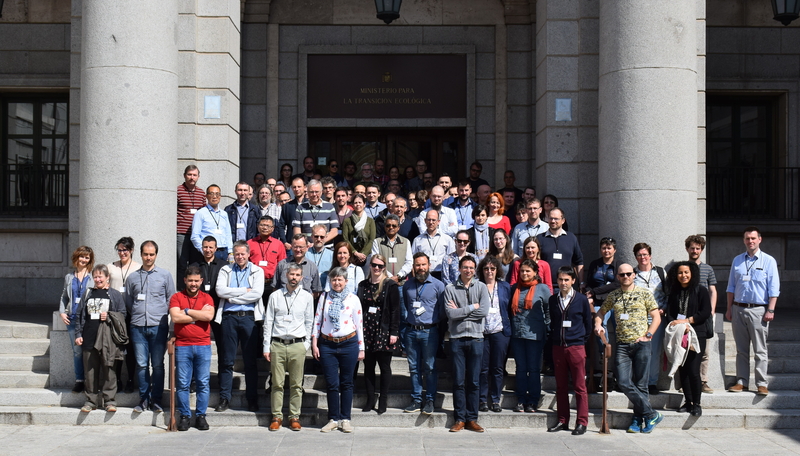 AEMET hosted the joint 29th ALADIN Wk & HIRLAM ASM 2019 in Madrid on 1-4 April 2019 (Wk&ASM) and on 5 April (HMG/CSSI meeting). The ALADIN Committee for Scientific and System/maintenance Issues (CSSI) and Support Team (ST) members meet at least once a year. A booklet was edited for the ALADIN 10 years anniversary (May 2001). Both French and English versions exist. Some copies were given to the ALADIN Partners. Added copies could be asked to Patricia. English version (please click on the small pictures to get bigger ones). French version (please click on the small pictures to get bigger ones).